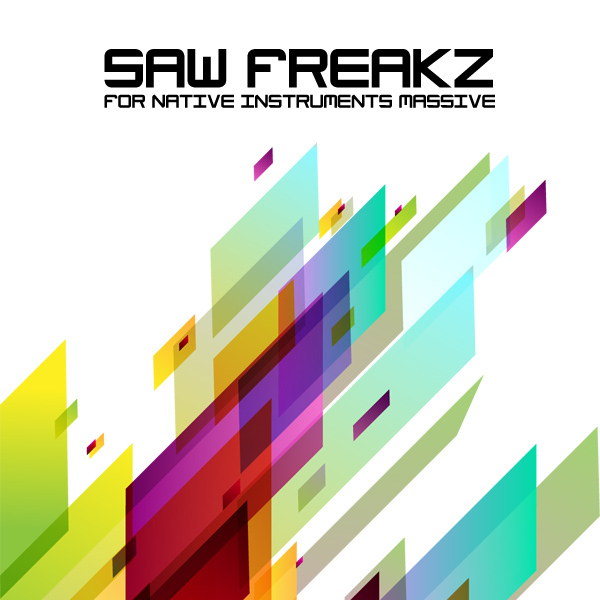 Saw Freakz is a collection of 102 sounds using the king of waveforms: the sawtooth. No nasal pulse waves, booming triangles or those ultra-harmonic waveforms so popular in Massive. The sounds are categorized in to the following categories: Arpeggio, Dark Bass, Distorted Bass, Interval Bass, Sidechain Bass, Snappy Bass, Plucked Lead, Chord Stab, Pad and Gated Pad. The original plan was to make a maximum of 100 sounds - but while experimenting with polyfonic arpeggios we couldn't resist adding two extra sounds. Each sound have been categorized with the built-in tags in Massive and all sounds have Macro 1 assigned as a modulator for the modulation wheel. IMPORTANT - Saw Freakz is a soundset for the Massive synthesizer. This product requires a fully working copy of Massive to work. This is not a sample set. Please check out the FAQ before buying.